Images are Important in SEO too! I have written many posts on optimizing your web pages and blog posts and most of them revolve around content and meta data, but optimizing images is also important if you truly want to master the SEO in your posts and content. So here are 4 areas I feel play an important part in optimizing your images. Just as I wrote about placing your keywords in your web page file names, the same is true for your image names. You should always use keyword rich image names. Search engines will read these image names and in doing so will help them with relevancy. So don’t upload that ‘iStock_345456.jpg’ image when you should be naming it something like Fairfield-Shepards-Park.jpg if the image was about Shepard’s Park in Fairfield. Of course a lot of images are just decorative and in that case image naming may not be needed. Google suggests that you should place your images in one folder on your site, (mydomain.com/images) versus placing them in random folders throughout the site. Another suggestion from Google is to make sure you use common image file types such as JPEG, GIF, PNG, and BMP. Alt text is the alternate text that is to be displayed if the image is not found or rendered. It also pops-up when you hover over an image. 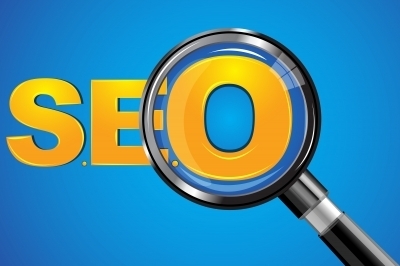 Search engines also read this text so having keyword rich Alt text is very important. Anchor text is another important factor in image SEO. If you decide to link to images with text, your anchor text can play a role in how your image is read. Use descriptive anchor text that describes the image. For example, linking to an image using a generic term like “image” or “photo” or a file name that doesn’t use keywords will not give search engines meaningful information on what the image is. Linking to an image with keywords is helpful to search engines as well as people visiting your site. The image that is placed into your web page should be related to the content in which it is embedded. This helps the search engines find relevancy and also ensures you are not spamming. I would also like to note, while this is not an SEO tip, having the right image is very important. Awesome images add depth and flair to your page or post. While text is usually the first thing seen on a page – the image is what sells the page. While you are uploading your image you should also think about file size; make them reasonable. I would also limit the number of images per page to keep the page small in size, in turn making it easier to load. So the next time you are writing content or a blog post, don’t forget about the images! Previous postKeyword Density, Formatting and Spamming – EXPLAINED! Next postMarketing Efforts Not Measuring Up – Here Are Some Articles That May Help!